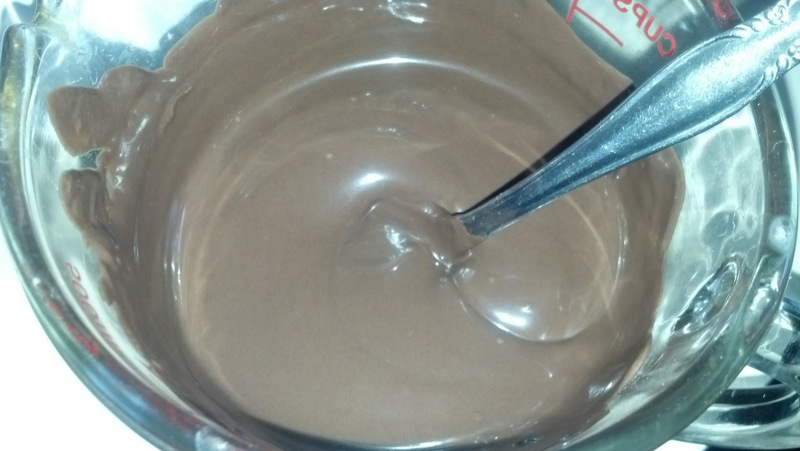 I stumbled across a few items that were left over from our Valentine's Day cake pops recipe. I figured,what the heck?! Let me put this stuff to use. I'm not a super baker, cook, kitchen queen, etc. 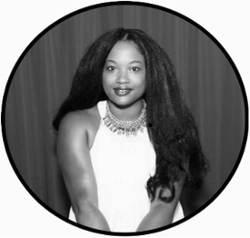 I do what I can and what works for me. I'm always looking for an easy, simple recipe that doesn't compromise taste or quality. 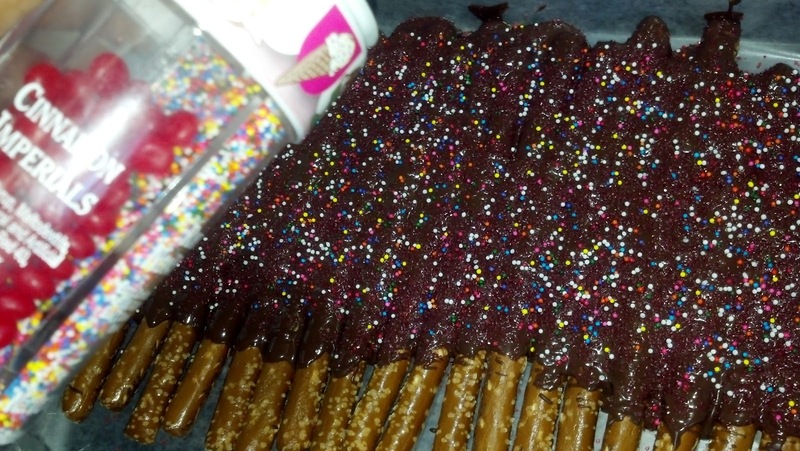 I made Kaden one of his favorite treats the other day– chocolate covered pretzel rods with sprinkles. 1. 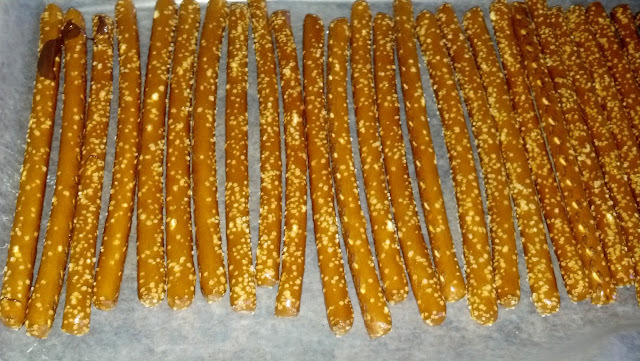 Spread pretzel rods on a cookie sheet covered with wax paper. 2. Melt chocolate as instructed on the package. 3. 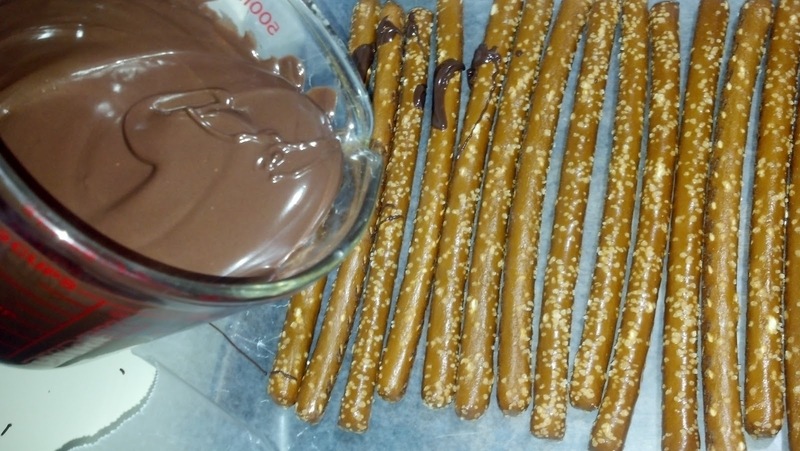 Pour and spread the chocolate over the pretzel rods. 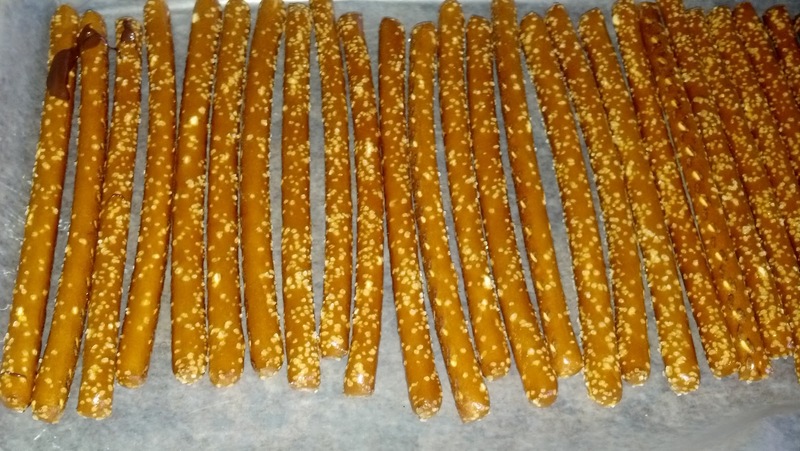 Before you place them in the freezer, you may want to put them on another cookie sheet with a new layer of wax paper so that they don't stick together when they freeze. 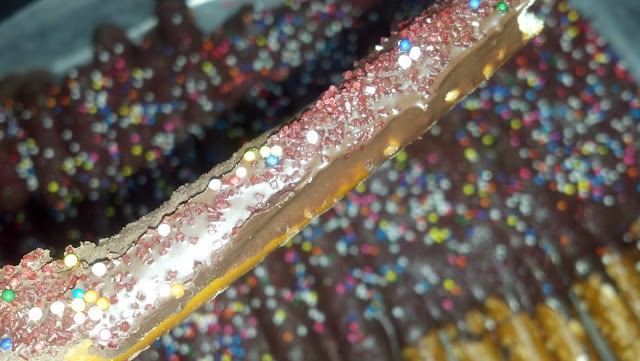 I don't mine them sticking together and breaking them apart after the chocolate hardens. It's your preference. 5. Freeze for a few minutes. 6. Break apart and enjoy. Remember, this recipe is not going for perfection. There's no wrong or right way to do it. From start to finish it took a whole ten minutes. I made this right before I picked Kaden up from school. You can try this with regular pretzels, tiny pretzels, white chocolate, or any other variation. Remember, just keep it simple and have fun.